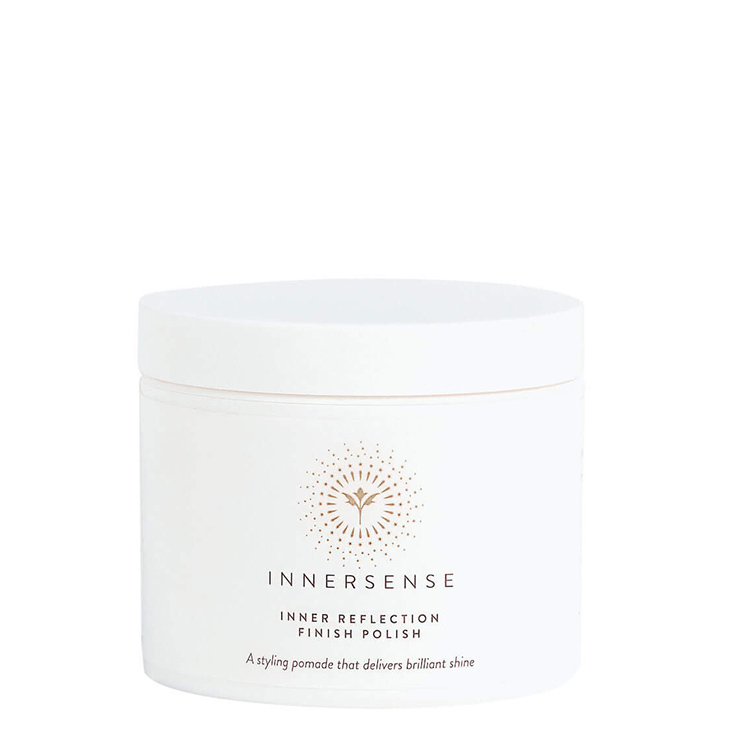 Innersense Inner Reflection Finishing Pommade takes styling to a new level. Crafted with honey to make hair feel luxuriously soft and moisturized, this ingredient, along with chamomile, has a soothing effect on sensitive skin. Rice and soy proteins lend a strengthened and protective feel to strands, while gingko helps to visibly improve thinning hair. Patchouli tones down signs of irritation and provides a balancing feeling to oily scalp. Use to style all hair types for flexible hold that conditions and delivers a glossy appearance. Makes a great beard balm too. Rub a dime sized amount of pomade between palms. Apply to dry hair to add a look of control and shine. May also be used as a beard balm. Water Eau, Beeswax*, Sorbitol, Cananga Odorata Flower Oil, Lavandula Angustifolia (Lavender) Oil*, Citrus Aurantium Dulcis (Orange) Peel Oil*, Salvia Sclarea (Clary) Oil, Vanillin, Pogostemon Cablin Oil*, Glycine Soja Oil, Sodium Benzoate, Potassium Sorbate, Hydrolyzed Rice Protein, Glycerin, Chamomilla Recutita (Matricaria) Flower Extract, Eucalyptus Globulus Leaf Extract*, Ginkgo Biloba Leaf Extract, Aspalathus Linearis Leaf Extract, Honey Extract*, Olea Europaea (Olive) Fruit Oil*, Helianthus Annuus (Sunflower) Seed Oil*, Calophyllum Inophyllum (Tamanu) Oil*.